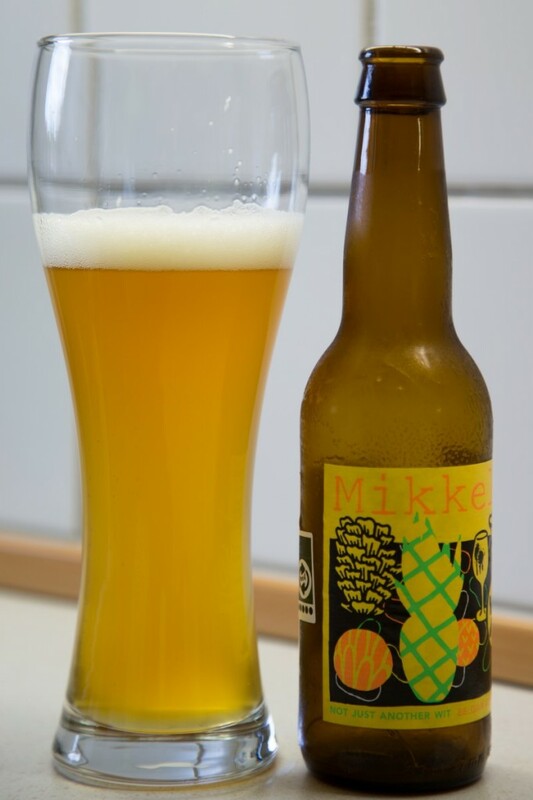 Mikkel started brewing in his kitchen in 2005 and developed some new and innovative beers that quickly gave him international reputation. Later Ørbæk brewery in Denmark helped him brew on license to get a volume to export. Today he brews most of his beer on license at Proef Brouwerij brewery in Belgium. I bought this beer in a wine shop called H.J. Hansen in Odense, Denmark at the price of 5 Euro for a 330ml bottle at 7,6%. Semi bright yellow, not that hazy look on this unfiltered beer. Small head, white and fine bubbles that disappears fast. Spicy and flowered aroma with a hint of fruit. Strong CO2, very strong flowered taste with a hefty bitterness. Long after taste. It feels like a fast attack of bitterness that moves straight on to a sweet fruit only to go straight into flower notes. There is no sign in the taste of the high alcohol percentage. Well played.